Sophomores forward Ashley Mess and midfielder Briana Small each scored their first goals of the season in a 3-1 victory against the Illinois College Lady Blues. The Gorloks opened the scorebook nine minuets into the match. Junior forward Kristin Montgomery threw a ball in towards Mess, giving her a breakaway opportunity. Mess buried the shot past Lady Blue goalkeeper, Cat Solberg to give the Gorloks an early 1-0 lead. Small scored her first goal of the season off of a throw-in by sophomore forward Lauren Pratt eight minuets into the second half, giving the Gorloks a 2-0 lead. The Illinois made things interesting. At the 72nd minute of play, Lady Blues freshman midfielder Kaylen Sims caught the Gorloks off guard through the middle of the field and made her way down to deposited a clean shot pass goalkeeper Jessica Davis. The goal cut the Gorlok lead to 2-1. “We gave her too much time and space, and when you give anybody too much time and space, they’re going to finish,” Head Coach Luigi Scire said. The Gorloks managed to respond with midfielder Lauren Scalise’s second goal of the season. A Gorlok free kick from 25-yards out turned costly for any Lady Blues momentum. Despite the victory, the Gorloks allowed 9 shots on goal in the match. “We will need to play better defensively (this weekend),” Scire said. The Gorloks registered 11 shots on goal. 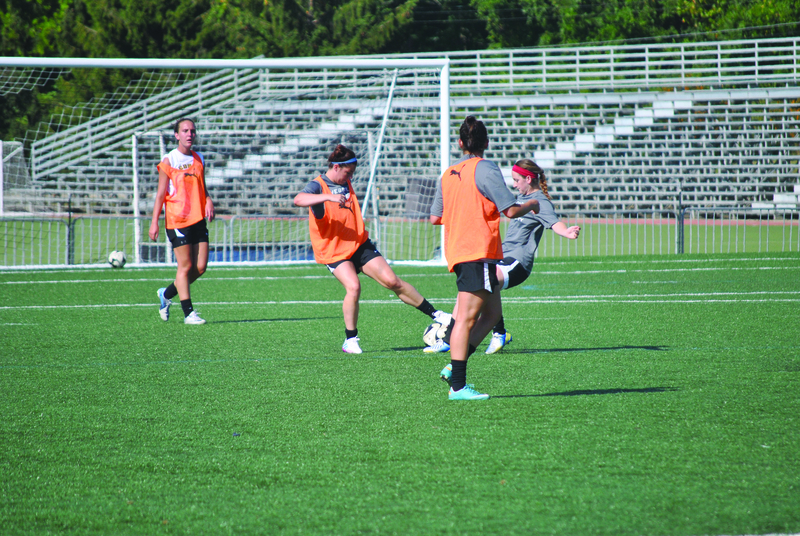 Webster plays its first two home games at Soccer Park, against Central College (Iowa.) Saturday, and DePauw University (Ind.) Sunday, both at 2P.M.